Chase and Stacey Stevens are your typical identical twins, sharing many of the same traits: hair colour, eye colour, skin colour, telepathy, telekinesis...Okay, so maybe not so typical. And they're not really twins. Or sisters. So there. In reality, Chase is Stacey's doppelganger from a parallel earth, their unique situation granting them psychic gifts which come in handy for keeping themselves out of trouble. 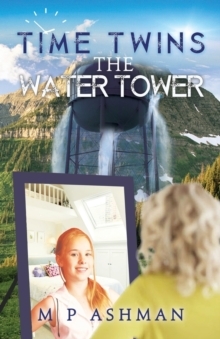 Now all they have to do is keep their secret...The Water Tower Project is a council initiative to finally reclaim the poisoned water surrounding the town of Einstein's Plateau, reducing its dependence on tank water and creating a mains water source, but something doesn't seem quite right to Stacey Stevens. Only moments after deciding to research the project for her social studies assignment, she discovers several inconsistencies between what she learns and what they've been told. With only days until the facility becomes active, can she and Chase figure out what's really going on before it's too late?